Sweat With Kayla app under fire for overcharging. 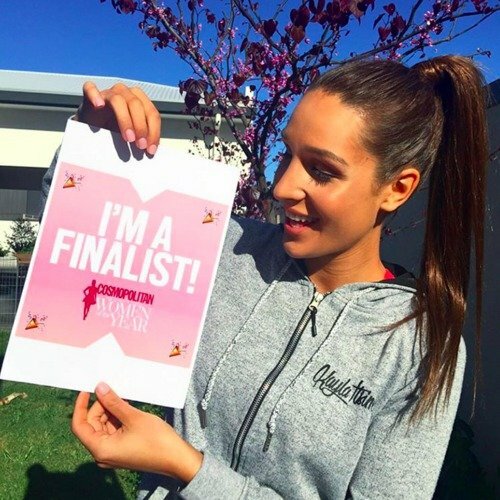 Customers of Kayla Itsines' app 'Sweat with Kayla' unhappy about overcharging. With millions of women around the world subscribing to her Bikini Body Guides and following her on social media, Kayla Itstines is a bona fide fitness sensation. Last year, the 24-year-old Aussie trainer’s ‘Sweat With Kayla’ app, offering a 12-week program with weekly coaching, workout tutorials and recipes, shot to the top of the Apple charts. But in recent months, a number of its users have claimed they’ve received unexpected charges after downloading it. The ‘Sweat With Kayla’ program costs $55.42, comprising weekly payments of $4.61 (or $19.99 a month). However, there’s also an option for users to download the app for a free seven-day trial period, though they’re still required to enter their credit card details. In comments posted on social media and the app’s iTunes Store page, Itsines’ fans have claimed the app continues to charge the $19.99 monthly charge unless they cancel at the end of the free trial. “Beware! One week free also automatically sets your Apple ID to subscribe and debit without your approval… Misleading to say the least not worth $20,” one user commented. “The cancellation process and customer service is horrendous. I cancelled after 2/3 days, well before the trial expired, but due to the auto-renew am on the hook for the months I didn’t realize the app was still active,” another wrote. However, some customers have complained that the cancellation process is unclear; one user claims she’d been charged twice since deleting the app. Sweat With Kayla currently has a four-star rating on iTunes, and the app’s public relations manager told the Courier-Mail the team had received no complaints concerning privacy or additional charges. Following the app’s launch, a number of fans complained that they still needed to pay to use it, despite already being paying Bikini Body Guide members. ‘The happiness of the BBG Community has and always be, my #1 priority. I want their experience to be as positive as possible,” Itsines told the Daily Mail at the time. &apos;Their biggest concern was that as loyal consumers, they were unable to access the app without paying... I want all of these women to be healthy, happy and for each of them to have a chance to try the app, whilst continuing to use the Bikini Body Guides if they wish." Now, existing BBG members receive their first month on the app for $1. Have you used Sweat With Kayla? How did you find it?